We all have memories that we treasure from childhood, events or experiences that had a memorable impact on us and that with time take on almost legendary proportions. I remember watching the film The Dark Crystal when I was a munchkin, and being absolutely terrified by the beetle-like Garthim monsters, and which with the passing of time became scarier and scarier in my memories. ‘Star Wars Episode V: The Empire Strikes Back’ (originally released as plain old ‘The Empire Strikes Back’) holds another of those epic childhood memories for me. The film originally hit the cinemas in 1980 before I was even a twinkle in my father’s eye, and when it finally received its first television release in the UK (which I believe was Christmas Day of either 1987 or 1988) my family and I all went to my grandparents house to watch it together. To this day it remains my firm favourite out of the entire 6-film Star Wars saga, winning me over from the beginning few minutes of film with its depiction of the brutal ice planet Hoth. Besides the AT-AT Walkers which utterly enthralled me, the appearance of the Wampa st irred in my mind a thrilling mix of fear and fascination: while on Hoth, Luke is riding around on a furry lizard-like creature called a Tauntaun, finishing up a routine patrol, but then decides to spend some time investigating what he thought was a fallen meteorite. Suddenly a shadow falls over him, and he turns to see a ferocious creature that explodes onto camera in a barely focused blur of teeth, white fur and claws. 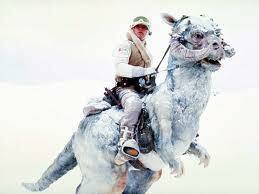 He is hit in the face, and falls unconscious onto the snow, and we hear the screams of his Tauntaun cut short. He is grabbed by the ankle and dragged away. The film later cuts to what we take to be the Wampa’s cave, scattered with bones and skeletons and firmly impressing upon us that this is a powerful carnivore, where it has suspended Luke Skywalker upside-down, his feet captured in ice, stored for a snack attack later on. Shaken by his situation, Luke attempts to call on the force to retrieve his lightsaber, which has fallen into a snow pile nearby. The tension starts to mount as, using sound and shadow, we were given the impression that the Wampa was making its way through the cave toward s Luke and time was running out. In a breathtaking climax of events Luke closes his eyes, concentrates and the lightsaber jumps into his outstretched hand, allowing him to turn it on and swing upwards to cut himself free. We see a cut to the furry body of the Wampa, no head or feet visible, walking across camera with huge clawed paws. 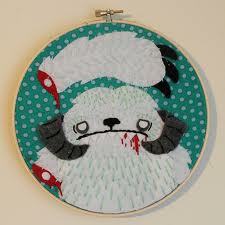 As Luke falls to the ground and struggles to get upright the Wampa closes in, in a blurry head-shot of a horned creature made up of white fur, teeth and claws, and Luke lashes out with the lightsaber, cutting to a shot of a furry arm fallen onto the cave floor and an animal bellowing in pain. Luke then stumbles out of the cave into the snow. The Wampa remained mainly unseen during its brief 5 Minutes of Fame, and yet the threat that this animal represented was unmistakably communicated to the viewer, which is why the Wampa attack on Luke Skywalker lingered on in my memory as one of the most thrilling moments of childhood. Fast forward to me treating myself to the 1997 release of the DVD box set of the original Star Wars Trilogy, remastered and promising to deliver the world. I wanted to relive the original excitement and adventure that won me over all those years ago. My friends and I made a day of it, stocking up on nibbles and drinks and slowly working our way through the trilogy. When we began watching ‘The Empire Strikes Back’ I was genuinely excited as I was about to enjoy one of my favourite few minutes in film ever, from the Wampa attack to the AT-AT’s. The film followed the remembered format of the Luke being knocked unconscious by the Wampa and getting dragged away, later we return to him in the cave slowly stirring as, in the background, the predator screams. The film then cuts to a scene of the Wampa, looking all big and fluffy, sitting down and eating what we presume to be Luke’s unfortunate Tauntaun. I actually shook my head at that point as I didn’t remember seeing so much of the Wampa when I last watched TESB. Luke reaches up to try to release his feet, and we cut to another shot of the Wampa eating enthusiastically. I’m seriously confused at this point as my entire childhood thrill related to the Wampa was based on it being a mysterious, brutal and barely-seen carnivore, and already I’ve seen more of the Wampa in a few seconds than I remember ever having seen before. Luke then reaches for the lightsaber, which stubbornly refuses to budge, so Luke calms himself and reaches out again, whereupon the lightsaber begins to shake and look like its ready to move. The Wampa now stirs and gets up from its feast, beginning to move towards Luke, all of which I have no memory of seeing before. Luke cuts himself free and falls to the ground, with the Wampa visibly moving from off camera towards him, which I again had no recollection of seeing before. The Wampa attacks and I watch a remembered head shot of a horned creature lunging at him, and Luke lashes out and cuts the Wampa’s arm off. We then see the Wampa standing with a bloodied stump where its arm used to be, howling in pain, and Luke makes his escape. I was genuinely confused as so many childhood nightmares had been based on the barely seen Wampa and the impression of ferocity, speed and teeth that the original film had conveyed to me, and yet here I was watching the film again and seeing so much more than I remembered. I did my homework and learned that the remastered 1997 version wasn’t simply a cleaned up version of the saga, but also contained extra scenes that had either been omitted from the original, or new scenes filmed specially for the remastered version. I found a great comparison video compiled by TheUnluckyTug02 on YouTube that compared the original and remastered Wampa scene and confirmed what I had suspected all along: that my childhood memories were not in error, but instead it was George Lucas who had tinkered with the original. Over time, with George Lucas whipping his goose so frequently that it seemed to be spitting out golden eggs, I got to see so many changes and tweaks in the frequent re-releases from the original Star Wars trilogy that it started to become annoying. I can appreciate tidying up a film, in the same way that Disney do, in order to improve picture quality, and with the advancement of CGI a man can do a lot, however ‘A New Hope’, ‘The Empire Strikes Back’ and ‘Return of the Jedi’ were not as heavily reliant on CGI as the newer ‘The Phantom Menace’, ‘Attack of the Clones’ and “Revenge of the Sith’ and therefore unless the quality of the original versions can be replicated you’re going to end up with very obvious changes and annoying additions that attempt to tie in the newer 3 films with the originals. The problem fans have is when a ‘remaster’ involves changes as big as the famous Mos Eisley scene in ‘A New Hope’ where originally Greedo met Han Solo and wanted to reclaim money that was owed to Jabba the Hutt for cargo that Han was supposed to smuggle but instead dumped. Greedo had his blasted trained on Han, but under the table Han stealthily points his own blaster at Greedo. 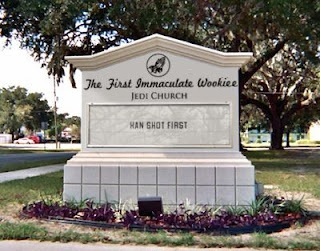 Han shoots Greedo, who dies without firing a single shot. In the 1997 re-release the scene was altered to show Han using his weapon only after Greedo fired and missed (why Lucas thought it would be believable that Greedo, a bounty hunter, could miss Han from point blank range is anyone’s guess) and spawned the phrase, “Han Shot First” in defiance of Lucas’ attempt to rewrite history and make Greedo the first one to fire. This scene can probably sum up George Lucas’ approach to the remastered versions he’s consistently churned out, and can also explain why this seeming lack of film integrity has lead fans to feel he values profit over anything else. The Blu Ray version of Star Wars was released in late 2011, and the anticipated and inevitable changes infuriated a lot of diehard fans: the despised Ewoks now blink, which I have to admit is a welcome addition as the original fleabag costumes looked a little fake and rigid; and the most controversial change has been to the most climactic moment of all 6 films, when Vader throws the Emperor to his death, which previously had been carried out in painful silence as his body was riddled with dark force lightning, but now he utters the scream of, “Noooooooo,” as he kills his Master. Despite most of us thinking the original trilogy were the most perfect set of films to grace this planet, we’ve seen the creator ignore all protests and repeatedly amend his work. We may make more noise and fuss than some of the individual changes actually warrant, but this is only because some of us have hit breaking point and, like William Foster in Falling Down, these multiple little things all add up to increase our collective tension and frustration, therefore it consequently only requires something relatively small to make us snap. 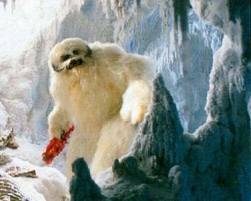 My beloved childhood memory of the Wampa attack on Luke Skywalker has been trampled, the mystery and enigma of that huge predator has been done away with, and my treasured memories have been forcefully replaced. I love Star Wars, and the original trilogy will remain 3 of my all time favourite films, however George Lucas has proved with his newer 3 films that he cannot fully replicate the magic of his originals and, unless he gives in the popular demand and starts authorising films that move away from the Luke Skywalker timeline and explore more of the massive Star Wars universe, he’s doomed to churn out re-release after re-release of the films that he founded his fortune upon. The Urban Dictionary even lists the definition of pulling ‘a George Lucas’. I’m going to go watch Dark Crystal now, notepad in hand, and carefully scour the film for changes. Previous Post Why Does American Chocolate Taste So Odd?